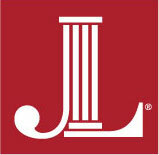 The Junior League of Birmingham has dedicated 22 volunteers and $10,000 to these projects. Job Readiness for Women – Prepare women for gainful employment and increase their opportunities to obtain financial stability. Personal Finance Skills Training for Women – Enhance women’s financial literacy, ability to build savings, and gain assets.